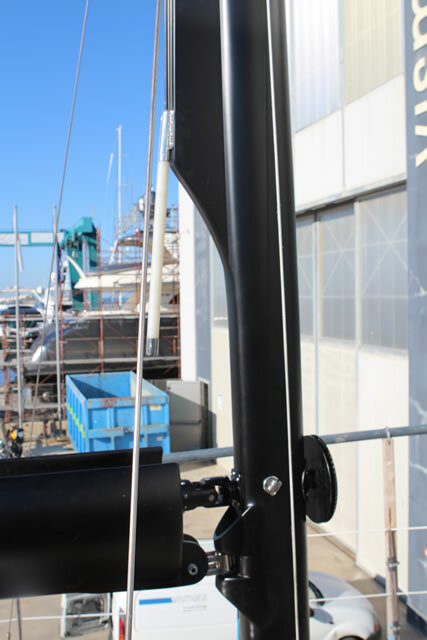 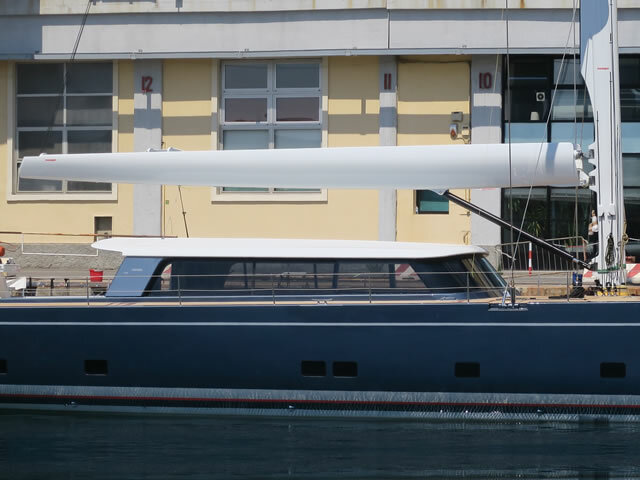 Maxspar has developed a new boom which can start life as a Park Avenue boom for a full batten main sail and at a later date easily transformed into a motorised furling boom without the need to change the boom itself. 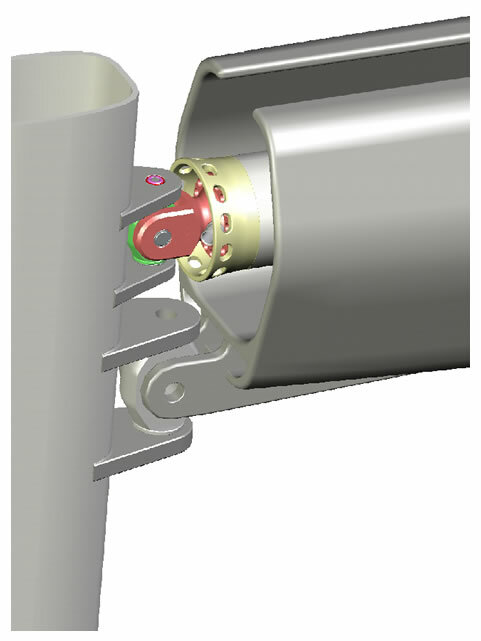 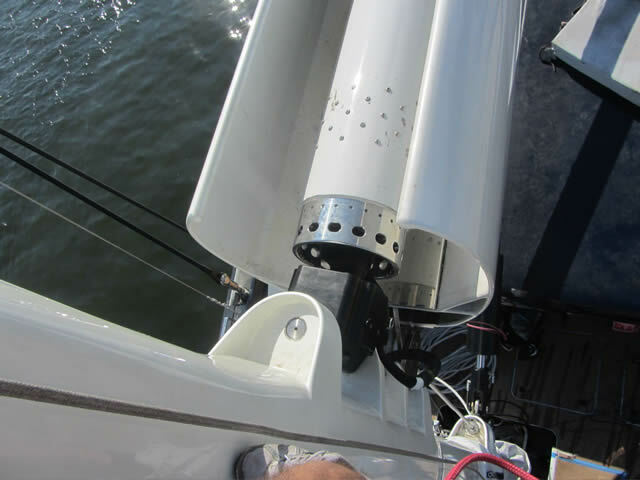 The transformation option comprises a carbon mandrel, an electric motor and the fitting of a second mount on the boom for the mandrel. 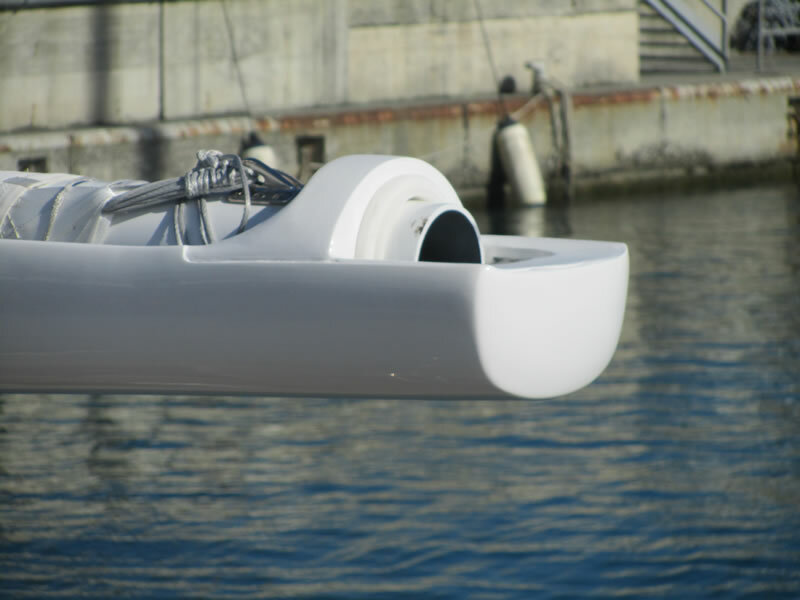 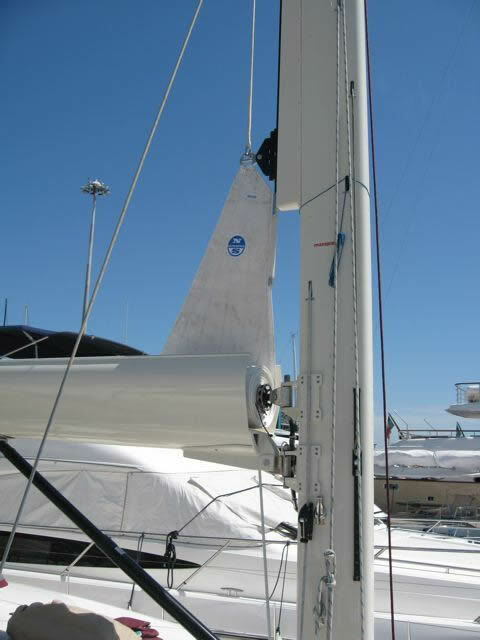 This solutions allows those who are undecided whether to install a Park Avenue Boom or a Furling Boom to first install the Park Avenue and then make the conversion to a motorised furling boom, if they want, at a later date. 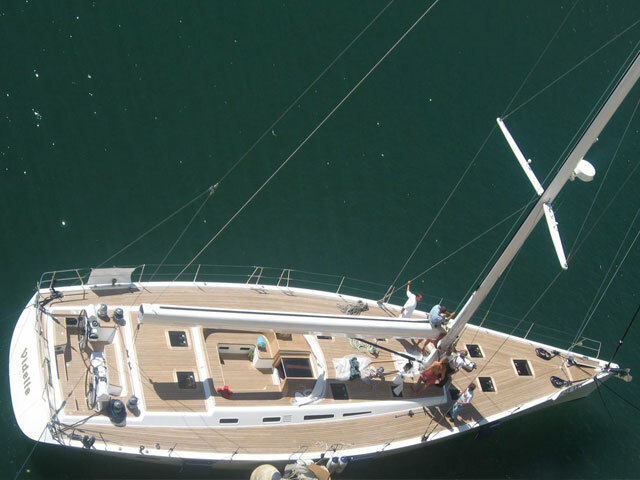 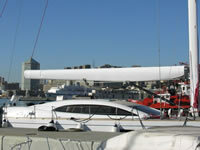 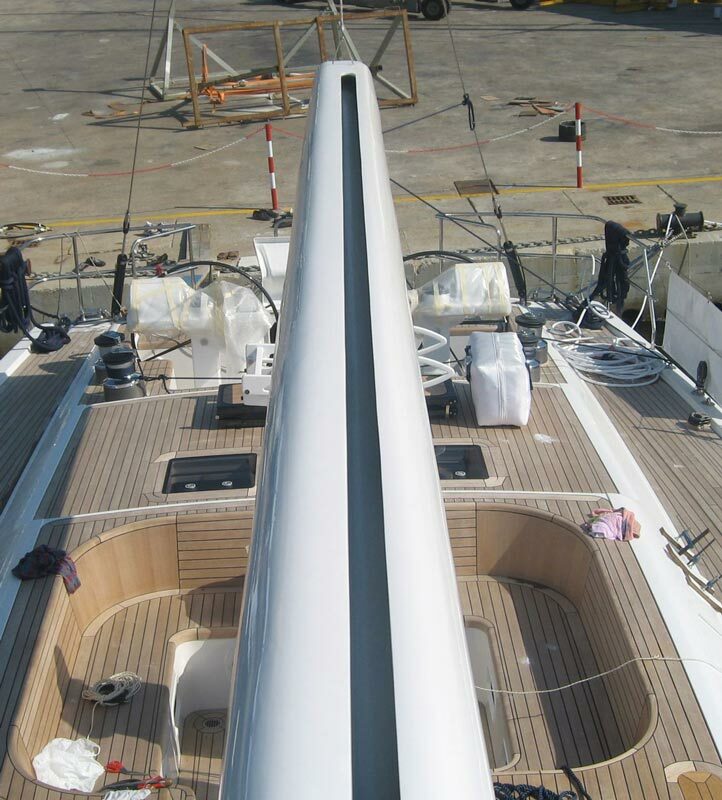 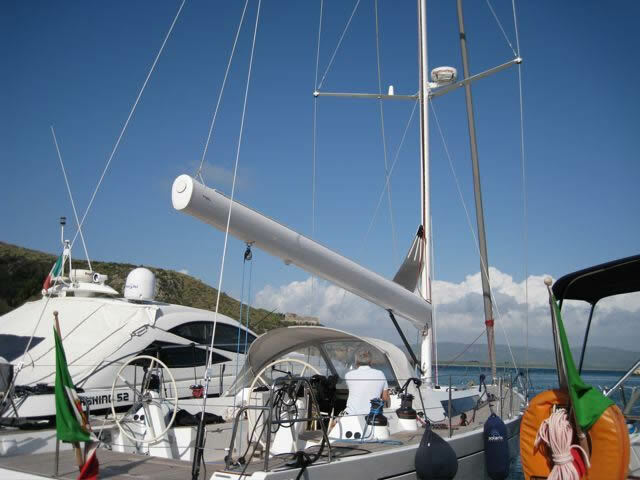 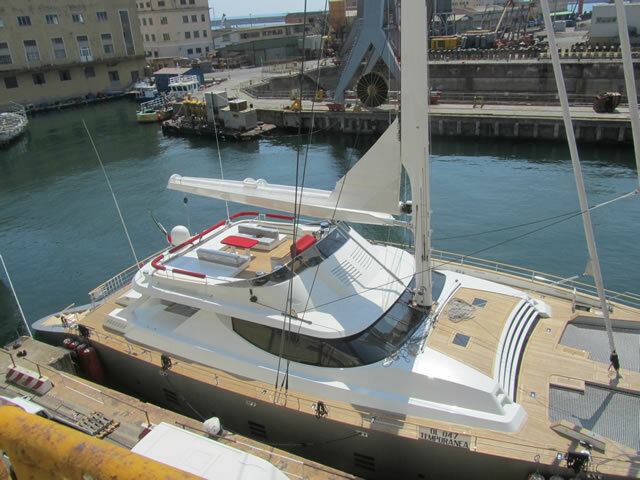 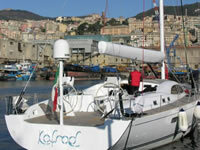 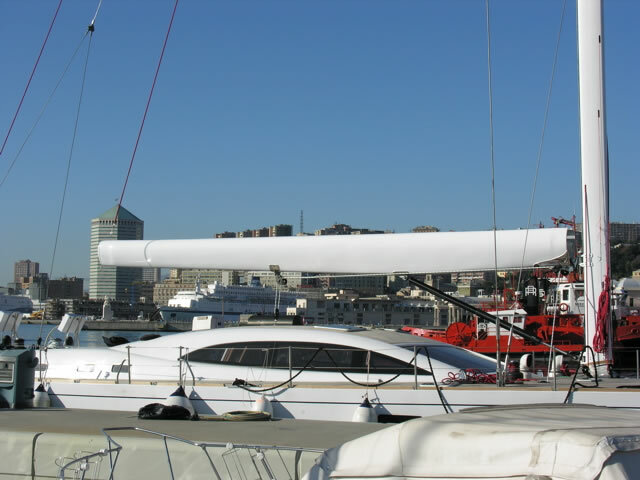 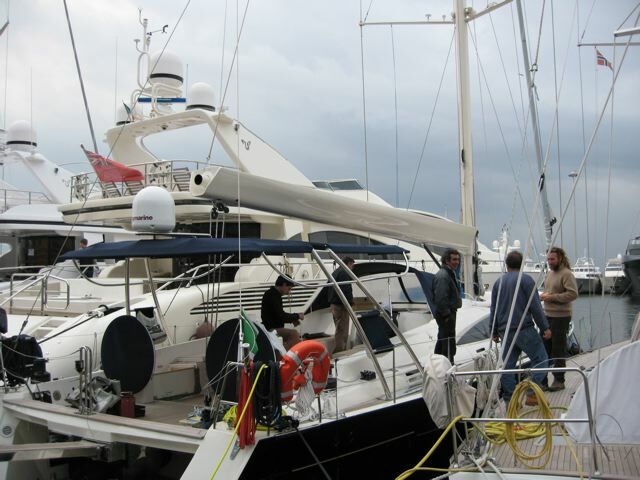 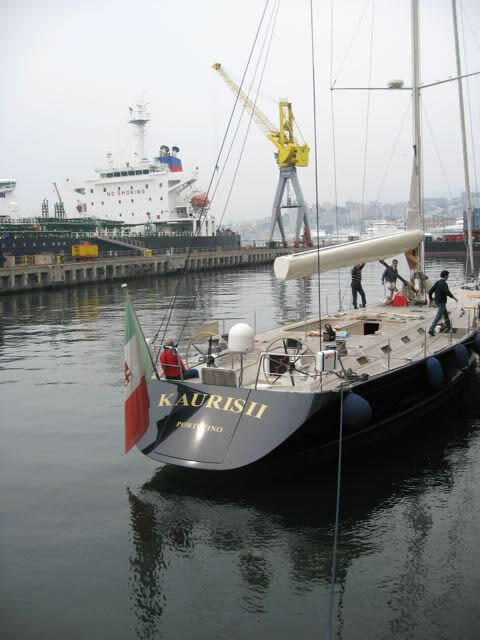 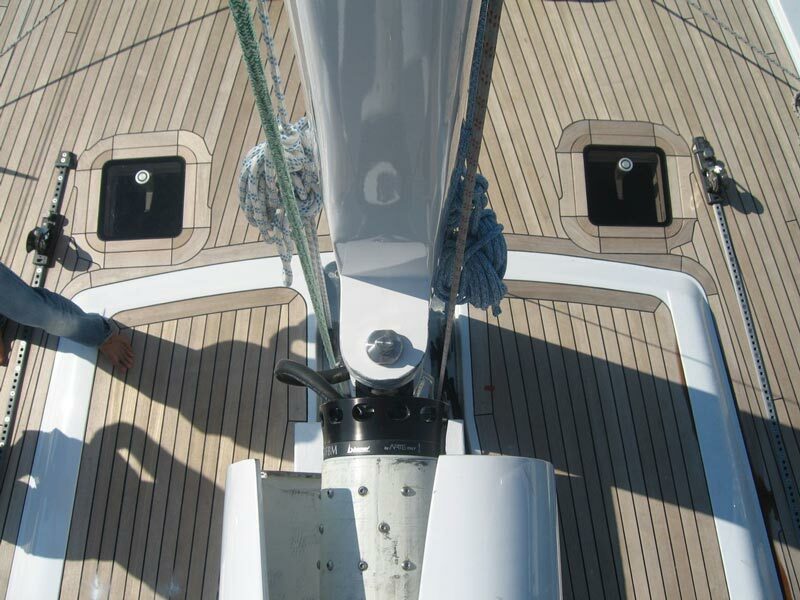 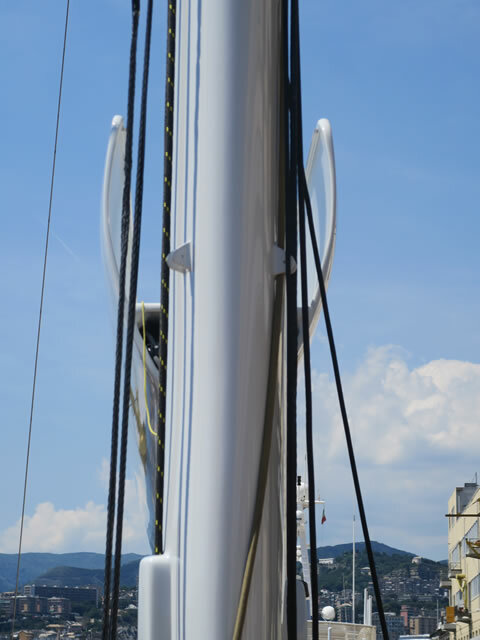 The following photos show an example installation, on yacht Giannetti Star 64, on a Park Avenue boom later converted into a furling boom. 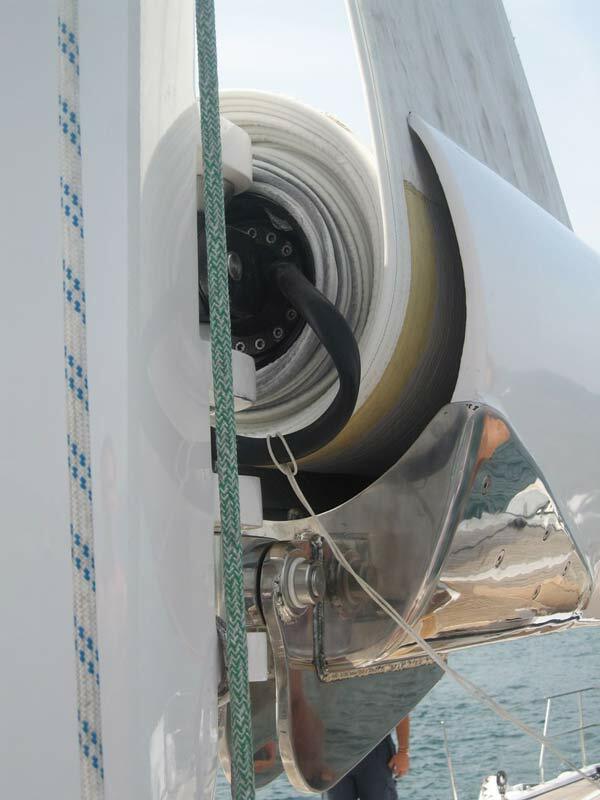 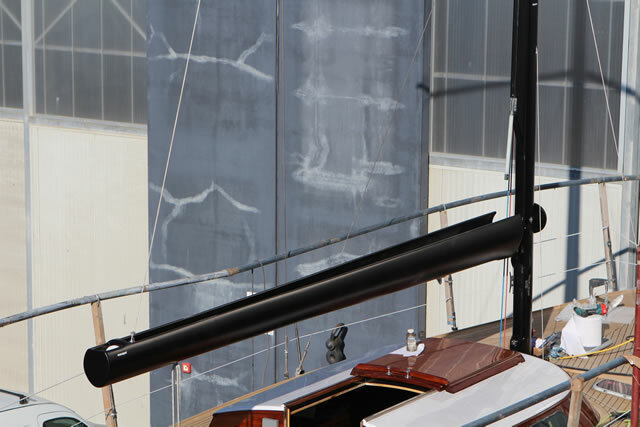 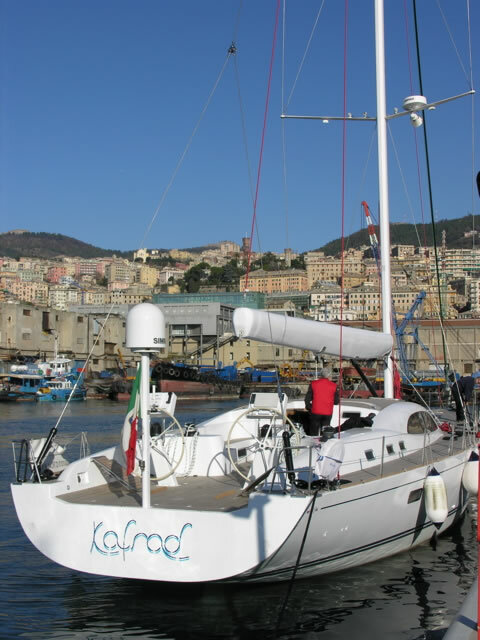 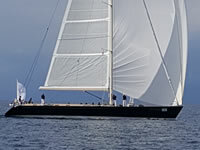 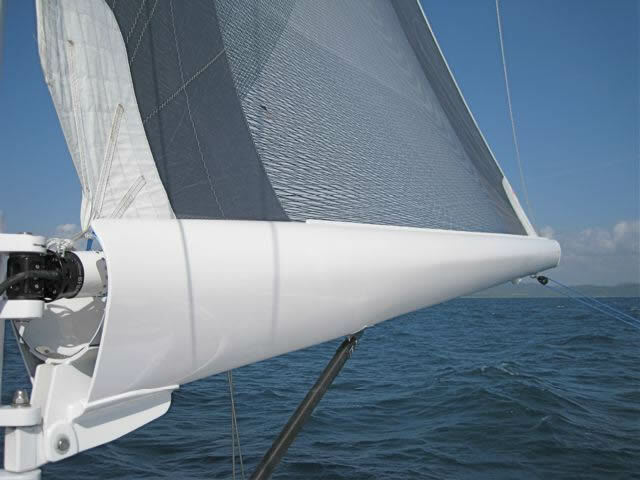 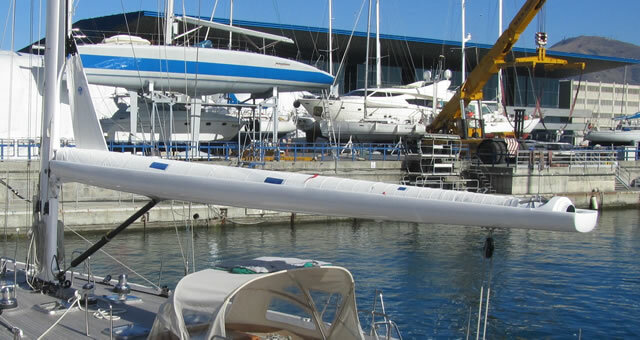 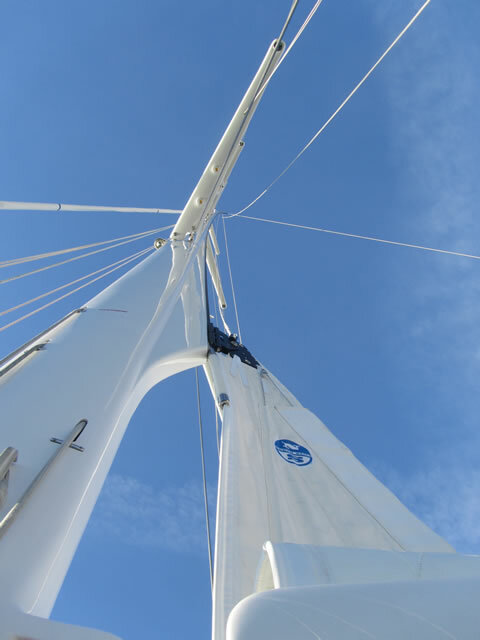 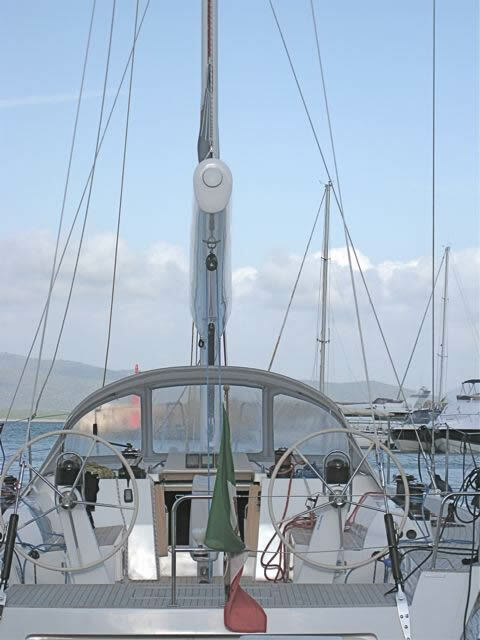 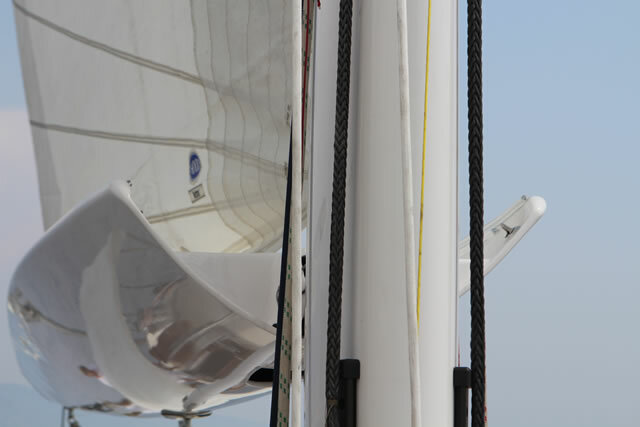 A furling boom allows the mainsail to be furled onto a rolling bar inside the boom rapidly reducing the sail area using a hydraulic or electric motor. 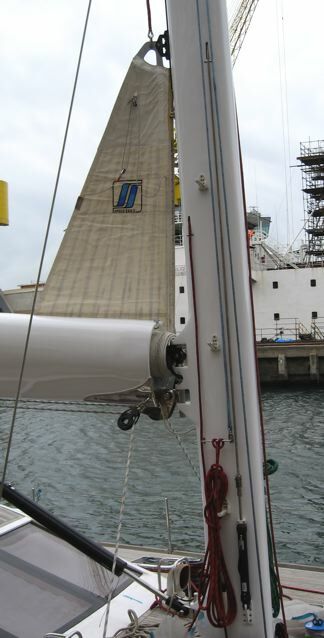 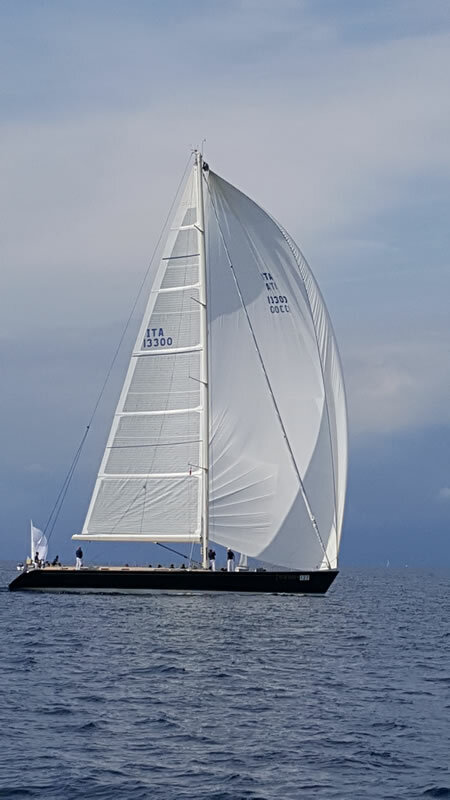 The aerodynamic form of the mainsail is the same as that of a traditional sail with the roach chosen by the sailmaker with any riduction in area with respect to mast furling systems. 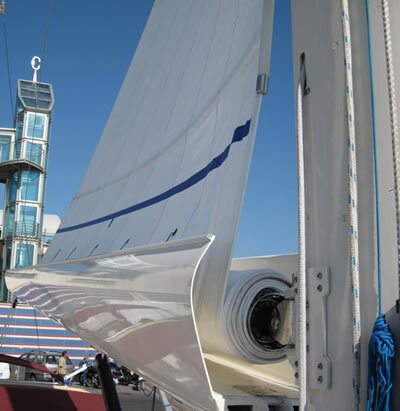 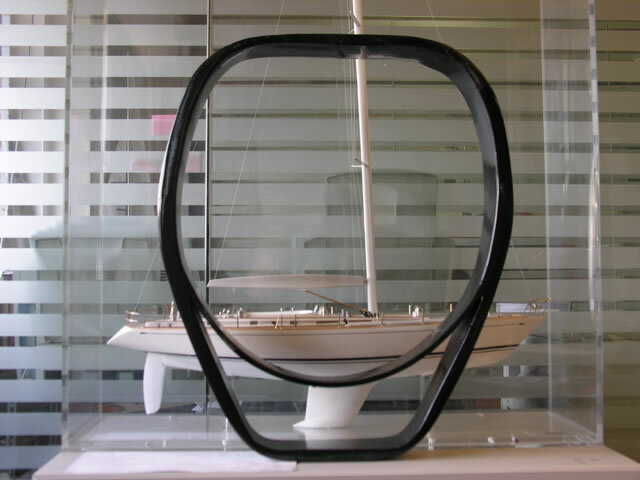 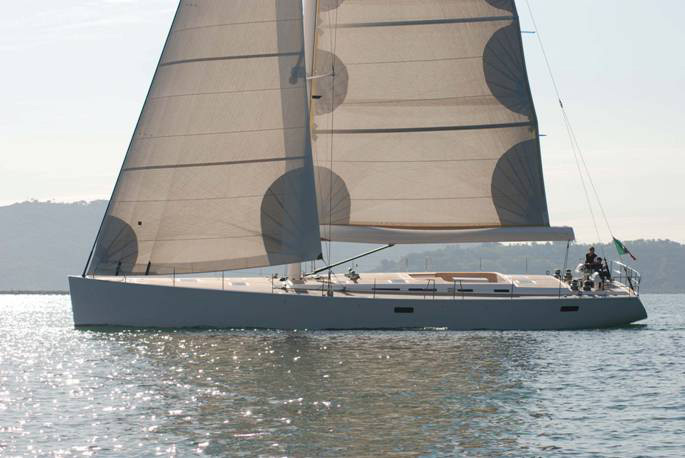 The sail requires a certain layout of the batens studied to allow furling and the accessories should meet several technical specifications which we will indicate. 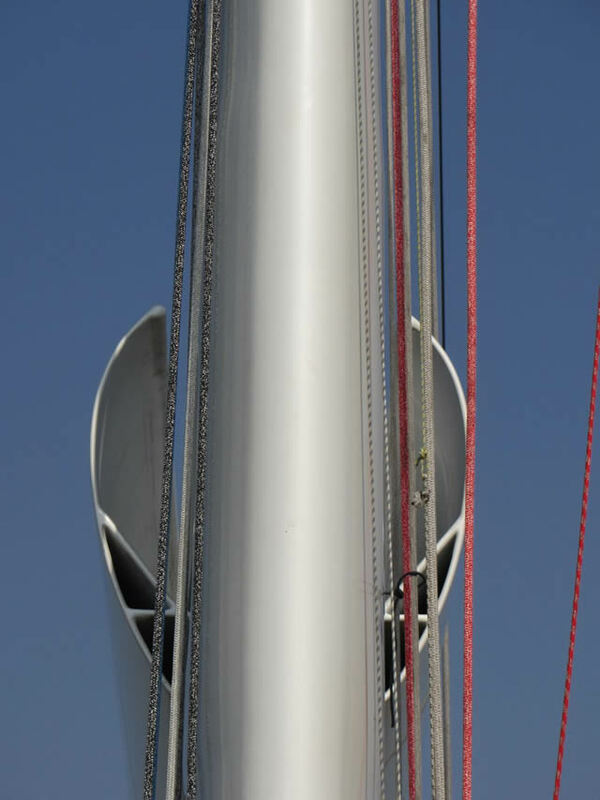 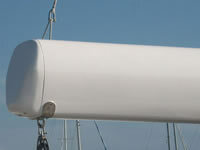 The section of the boom as seen in the photo1 below is composed of two parts, one a container for the mainsail, the other a structural reinforcement of the boom. 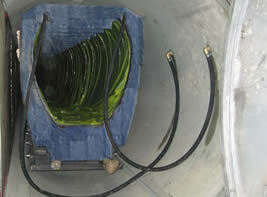 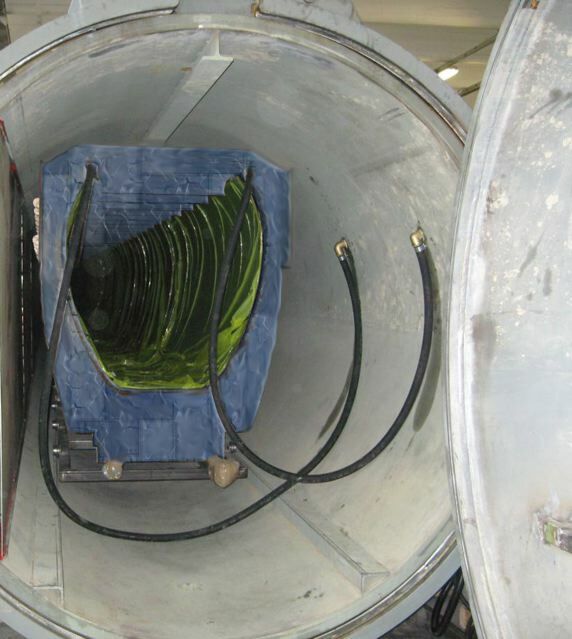 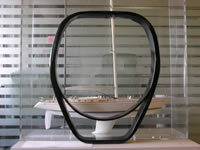 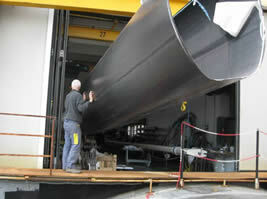 The furling boom is made from preimpregnated carbon cured as a single piece in a vacuum oven (see photo). 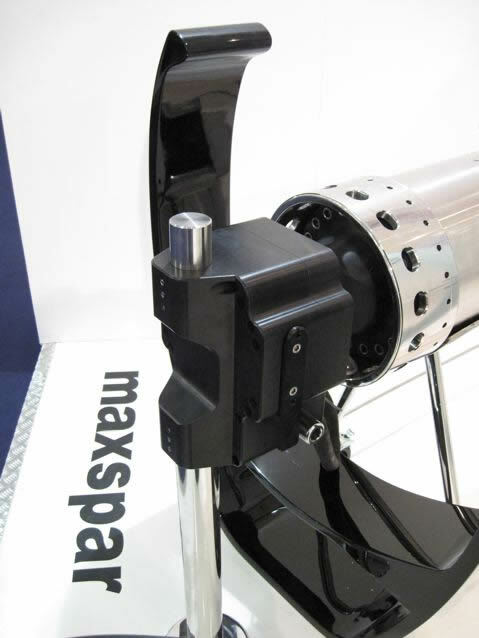 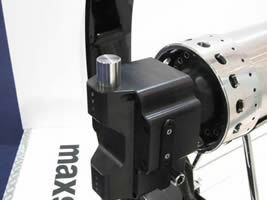 This allows us to obtain a pice with reduced weight and maximum rigidity. 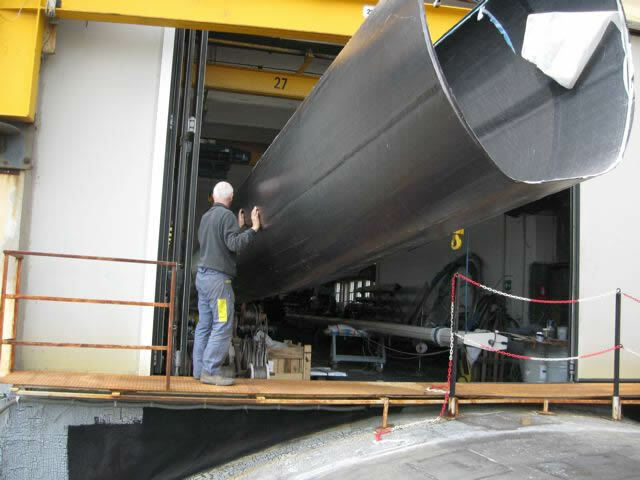 We can produce furling booms up to maximum dimensions of 1250 x 960 mm at the vang section and tapered at both ends. 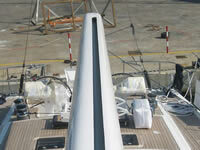 This is the ideal section for a 150ft yacht. can vary between 1500/3000 Kg for a maximum length of 23 m. We have many models and sizes suitable for yachts from 50ft to 150ft. 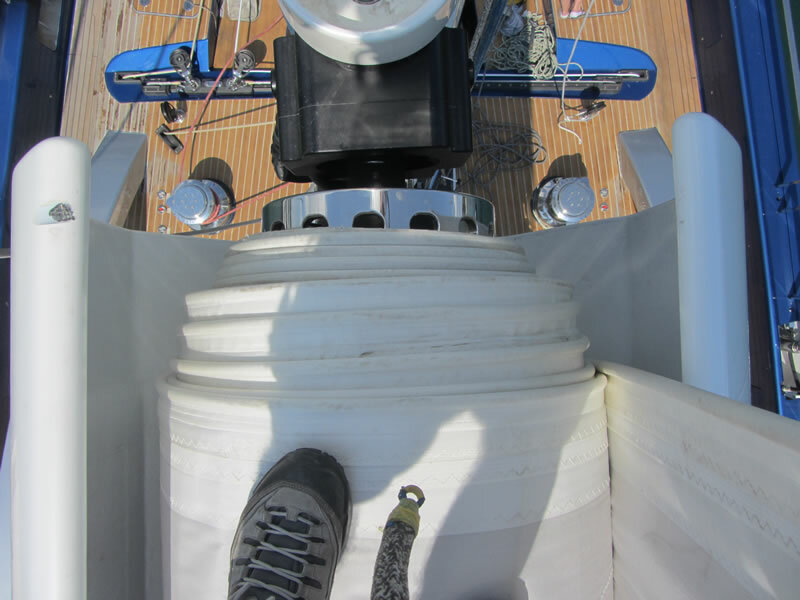 Inside the boom there is a tube connected to a winding motor which allows the height of the mainsail to be modified in any position allowing for an optimum use of the relationship between the sail area and sideslip. 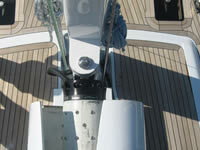 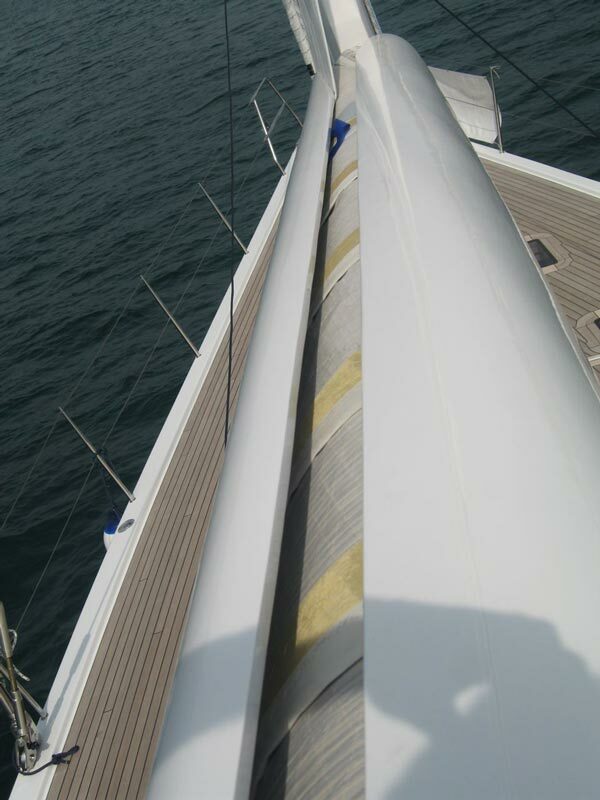 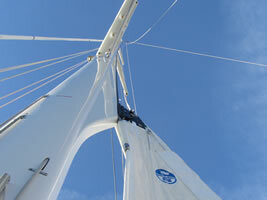 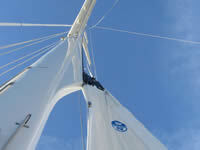 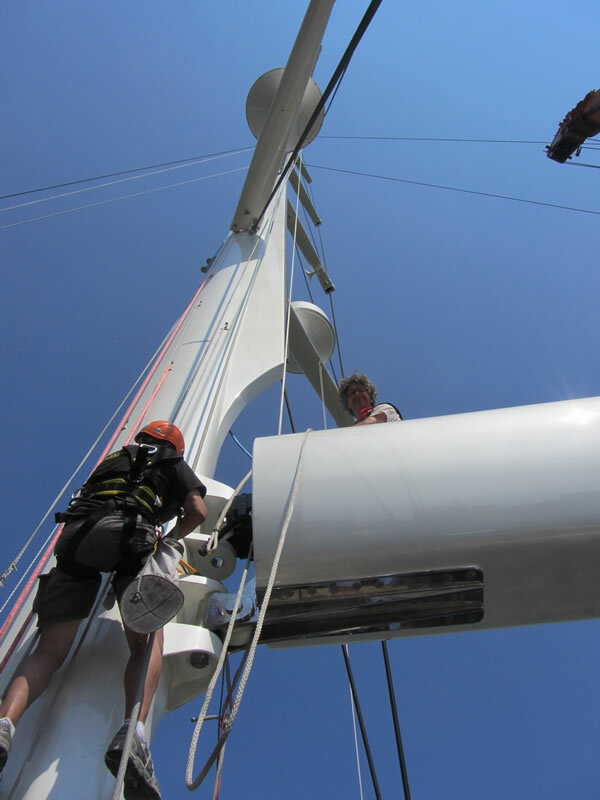 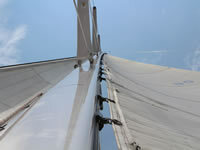 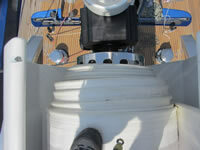 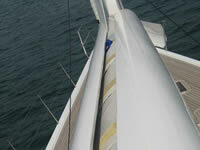 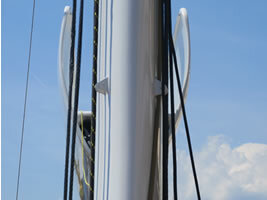 The mainsail while not in use, being furled inside the boom, is completely protected from the effects of the sun. 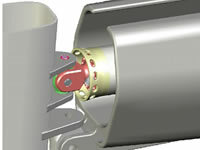 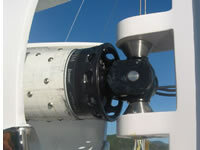 The furling motors are built with the latest generation of mechanical reducers (5 models ø110-ø140-ø182-ø280-ø360) with a maximum diameter of 360mm allowing them to be inserted into the winding tube, allowing the complete system to be designed with simplified construction and assembly which optimises furling and reduces overall weight. 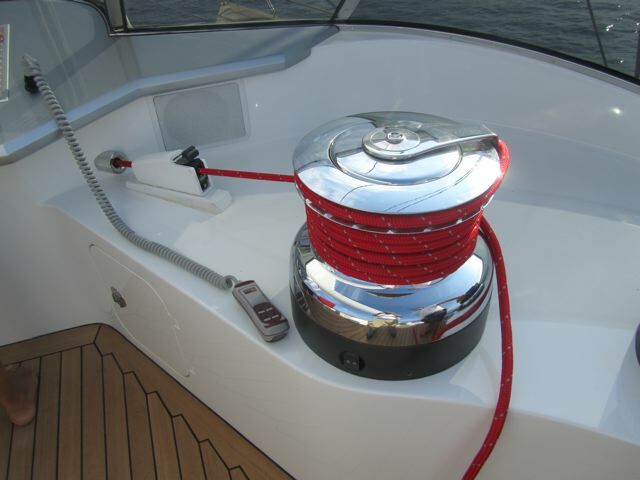 The furling system is operated by two buttons for winding and unwinding which control the motor and can be fitted to the command console. 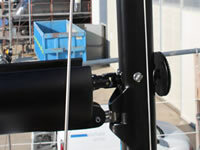 The system can also be operated from any position using a remote control. 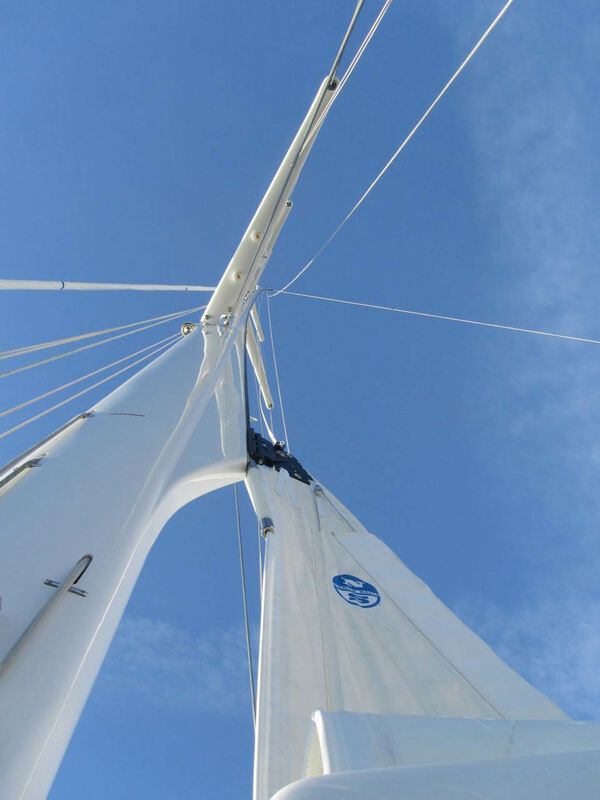 The mainsail furling system allows even very large sails to be quickly and easily furled and unfurled even with a reduced crew on board. 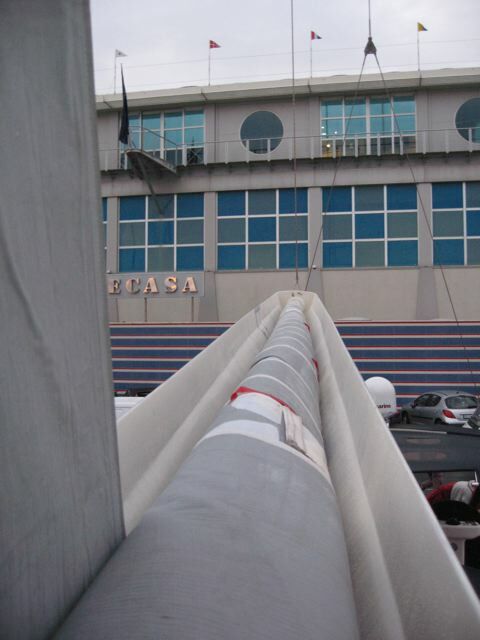 For example a sail with dimensions p=30m and e=10m can be furled in under 2 minutes. 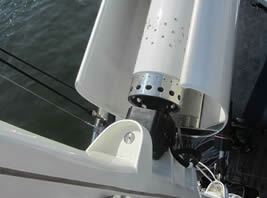 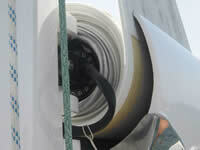 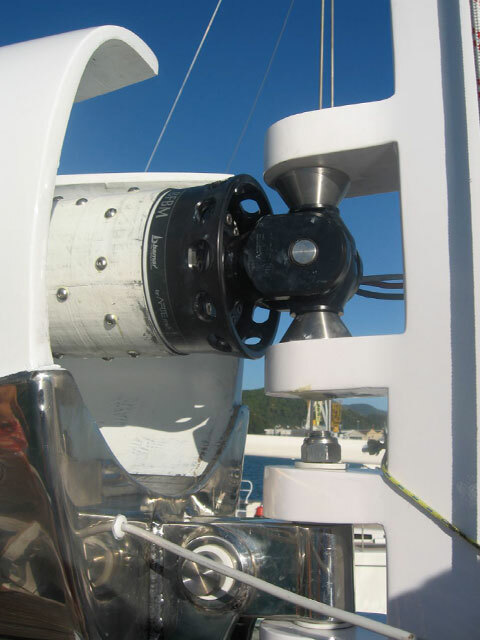 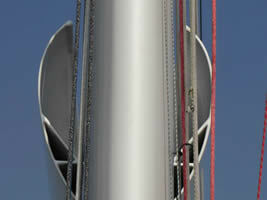 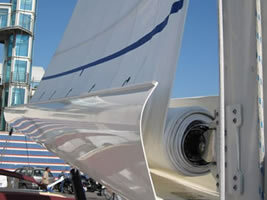 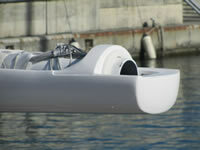 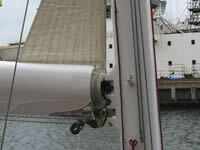 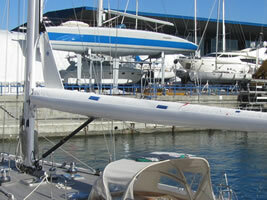 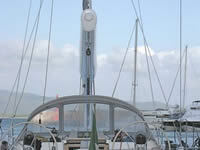 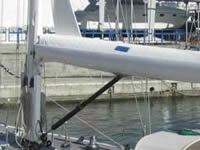 This type of furling requires an hydraulic vang designed to support boom and sail. 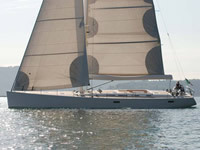 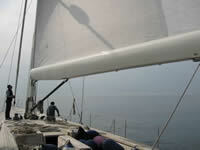 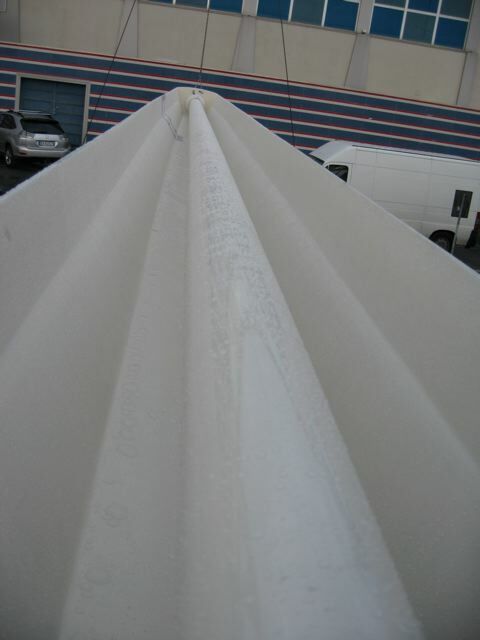 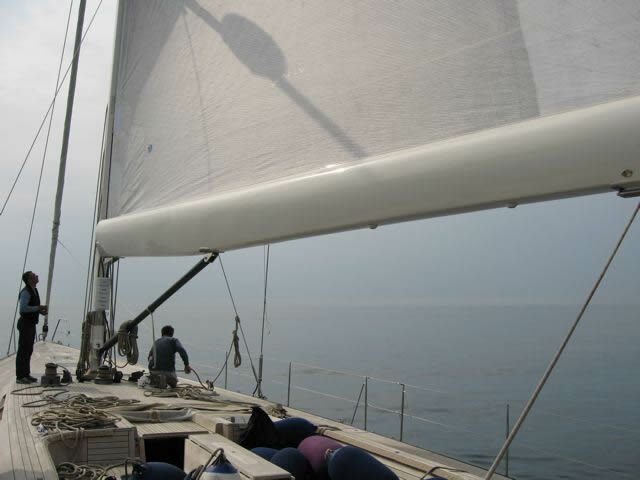 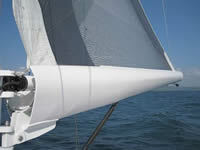 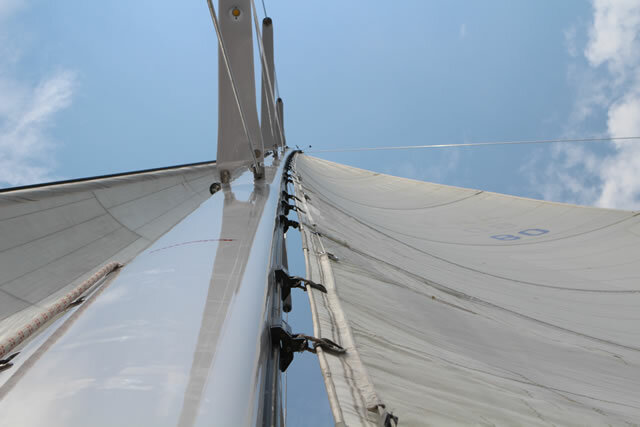 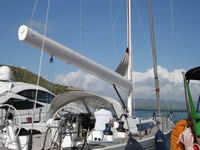 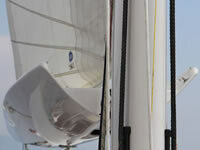 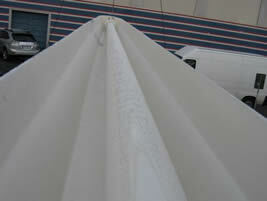 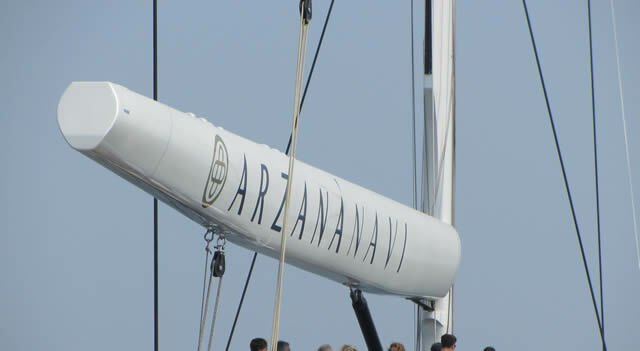 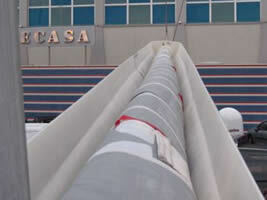 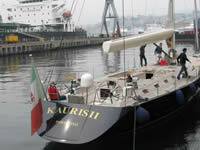 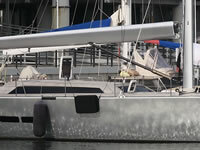 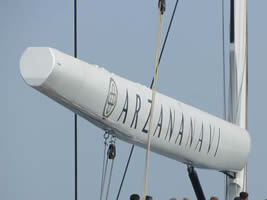 The mainsail should be manufactured according to our technical specifications. 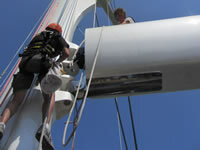 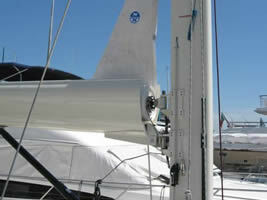 We recommend using an electric winch at the foot of the mast.